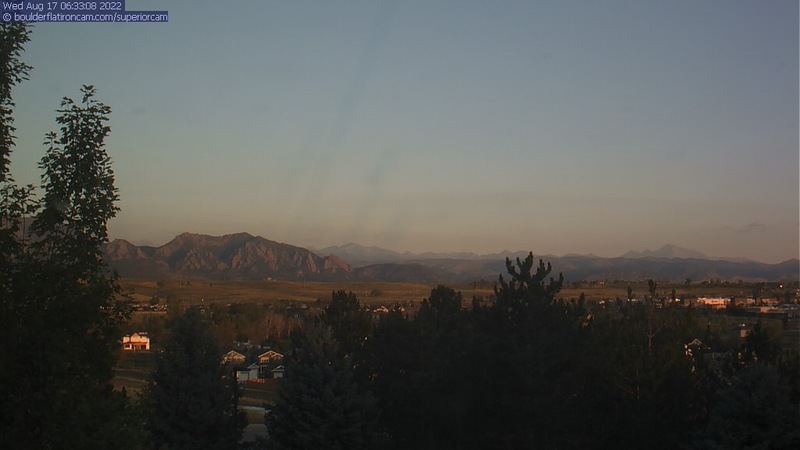 The Superior cam has a great view to the northwest over Boulder, the Flatirons, Indian Peaks and Long’s Peak. The Coal Creek trail is visible in the foreground with old town Superior. Thanks to Aweida Venture Partners management for the great view. If you like the view, check out leasing opportunities at 500 Discovery Parkway.